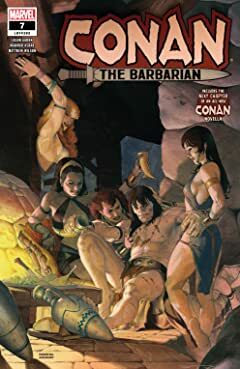 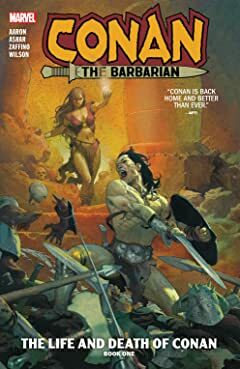 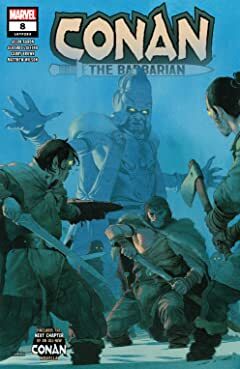 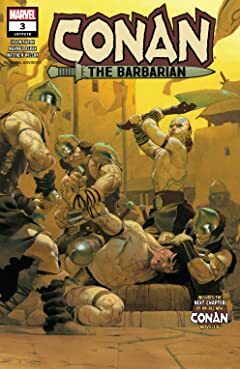 Collects Conan the Barbarian (2019) #1-6. 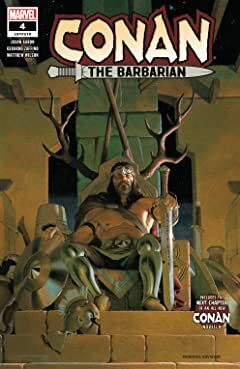 The greatest sword-and-sorcery hero of all returns to Marvel! 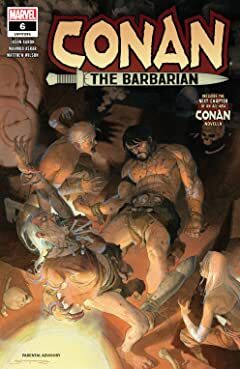 From an age undreamed…hither came Conan the Cimmerian, black-haired, sullen-eyed, sword in hand, a thief, a reaver, a slayer, with gigantic melancholies and gigantic mirth, to tread the jeweled thrones of the Earth under his sandaled feet. 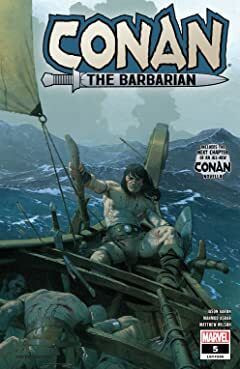 Conan's travels have brought him to the far reaches of the unknown, from his birthplace in Cimmeria to the kingdom of Aquilonia and all in between. 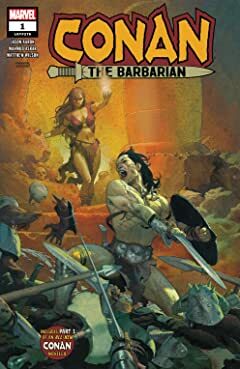 But as his fighting prowess lets him carve his way through life, so too does it attract the forces of death! 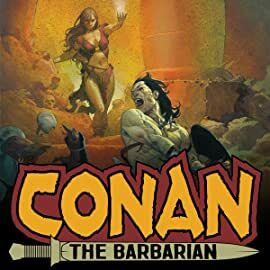 And few are more deadly than the Crimson Witch. 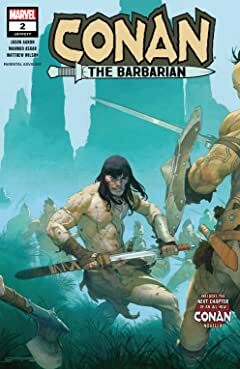 Robert E. Howard's legendary barbarian stars in an all-new ages-spanning saga as the destiny of Conan — and King Conan — are forever changed!